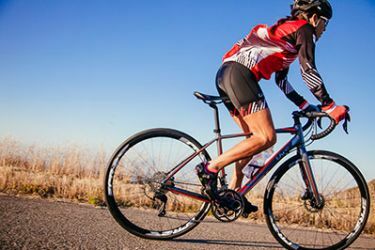 Disc brakes have changed the way we ride mountain bikes with incredible stopping power in all weather conditions and precise modulation that makes decreasing speed down the mountain a little easier. And now disc brakes are offered on a variety of bikes, from gravel grinders to road race machines, bringing all those awesome disc brake benefits. But even the best set of brakes can suffer from annoying squeaks if you don't maintain your bike properly. If you have a squeak, squeal or pinging noise that occurs while you are riding at regular intervals, it is usually a caliper alignment issue or a bent rotor that is causing your brake pads to rub as you ride. Check to make sure this is the problem by lifting your wheel off the ground and giving it a spin. If the wheel does not spin freely and comes to a stop, you have a brake rub issue! First, check to make sure your wheel is properly seeded in the dropouts of the fork or chainstay. This could be a problem if you are running a wheel with quick release (QR) skewer that doesn’t thread into the frame. An improperly installed axle would cause both the wheel and rotor to appear to be out of alignment. Next, check the alignment of the caliper. Loosen the caliper bolts and wiggle the caliper loose, then hold down the brake lever. Holding down the brake lever will center the caliper over the rotor with the help of the brake pads. With the brake lever pulled, tighten the caliper bolts equally and evenly. Spin the wheel. If rubbing persists, repeat this step. It may take a couple of tries before the caliper is aligned correctly. If that pesky brake rub is persisting, it usually means your brake rotor is bent. This is a common problem and can usually be easily fixed. Look down through the caliper and spin the wheel, you should be able to see when the brake pad comes in contact with the rotor (where the rotor is bent). It may be easier to see if you hold a white piece of paper under the caliper. Use a Park Tool Rotor Truing Fork to bend the rotor back into place. This takes time, patience, and a light hand! If you have a loud, consistent squealing noise whenever the brake is applied, then the problem is likely contamination. Brake pads are porous, so like a sponge, they will soak up grease and oils easily and cause the brake pad to squeal and not work effectively. Things like chain lube, bike polish, degreaser, brake fluid can find their way to your brake rotor and contaminate the pads. Even touching your rotor or pads with your hands can possibly cause contamination! If you suspect you have gotten any oil or grease on your brake rotors, clean them off immediately with a clean rag and isopropyl alcohol. If you have already contaminated the pads, there is hope! Try removing the pads from the caliper and carefully sanding down the outer layer with a fine-grained sand paper. However, if your brake pad went for a bath in chain lube, your best bet is to replace the brake pads. Whenever a new rotor or brake pad is installed on your bike, it needs to be broken in properly. If you take your brand new brakes down a steep trail that requires lots of braking, your rotor will heat up and cause your brake pads to “glaze” over, reducing their ability to effectively slow you down and causing a nasty squeaking sound. Always break in your brake pads properly by pedaling around on the pavement with your brakes lightly squeezed before heading out on the trail. Pedal to the top of a hill in your neighborhood and then lightly squeeze the brakes on the way down. Be careful not to come to a complete stop and do not “feather” (squeeze and let go) the brakes. Do this about 10 times until you feel the brakes becoming more powerful. The idea behind this technique is to transfer some of the brake pad material evenly over the rotor. If you already glazed your pads, remove your brake pads from the caliper and use sandpaper to scuff up the surface of the pad. Then, properly break in your brakes using the technique above. Water and heat are two elements that can cause your brakes to make a little too much noise. If you happen to ride through a puddle or stream on your bike, you may notice the brakes will suddenly begin to squeal. Good news: this is a temporary problem and nothing to worry about! As you use your brakes, the squealing noise will diminish. Heat, which is caused by consistent braking for long periods of time (usually when riding downhill), can cause your brakes to howl and the problem might not go away. If your brakes become overheated, the rotor will become discolored and must be replaced. If you consistently have this problem, it usually means you need a bigger brake rotor. Larger rotors dissipate the heat caused when you brake more efficiently and increase braking power, which means LESS NOISE!